In Richard II, anger at a king's arbitrary rule leads to his downfall—and sets in motion a decades-long struggle for the crown that continues in several more history plays. Richard II begins as Richard's cousin, Henry Bolingbroke, charges Thomas Mowbray with serious crimes, including the murder of the Duke of Gloucester. Bolingbroke's father, John of Gaunt, privately blames the king for Gloucester's death. At Richard's command, Bolingbroke and Mowbray prepare for a trial by combat. The king halts the fight at the last minute, banishing both men from England. Richard is held at Pomfret Castle and Bolingbroke becomes King Henry IV. A murder plot against him is uncovered and stopped. Richard is murdered by a follower of Henry. 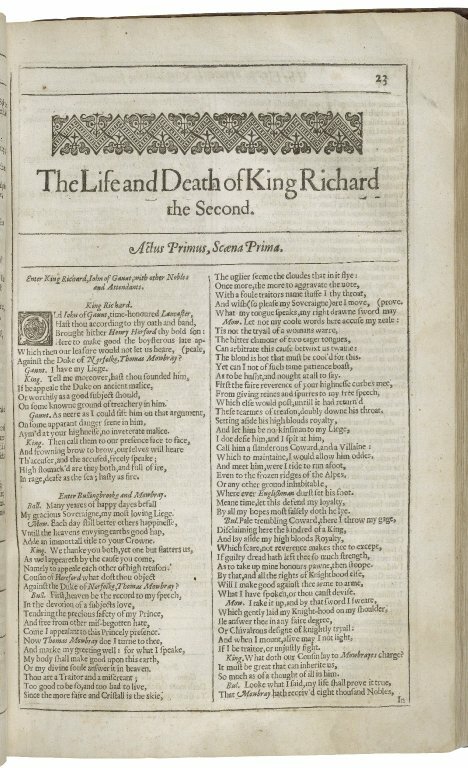 Richard II was first printed in 1597 as a quarto (Q1) and then reprinted twice in 1598 (Q2 and Q3). In 1608, the play was printed again (Q4), this time including what we now refer to as the deposition scene (4.1.160–331). 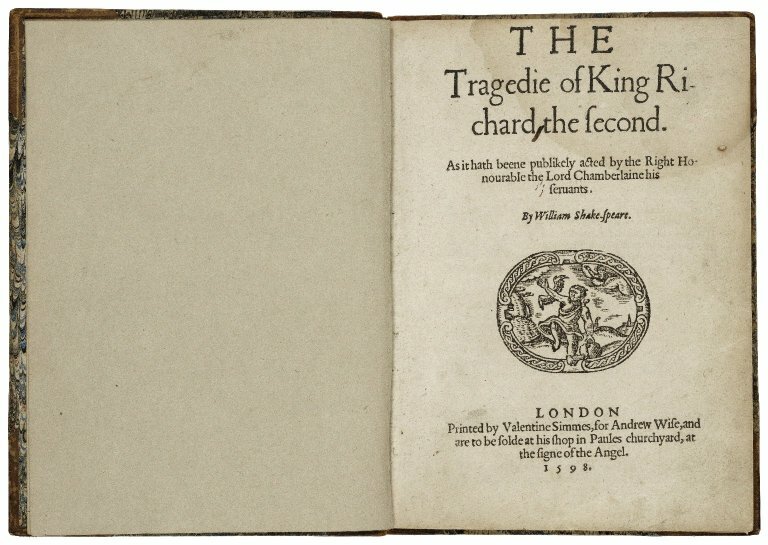 This version of the play was then reprinted in 1615 (Q5). 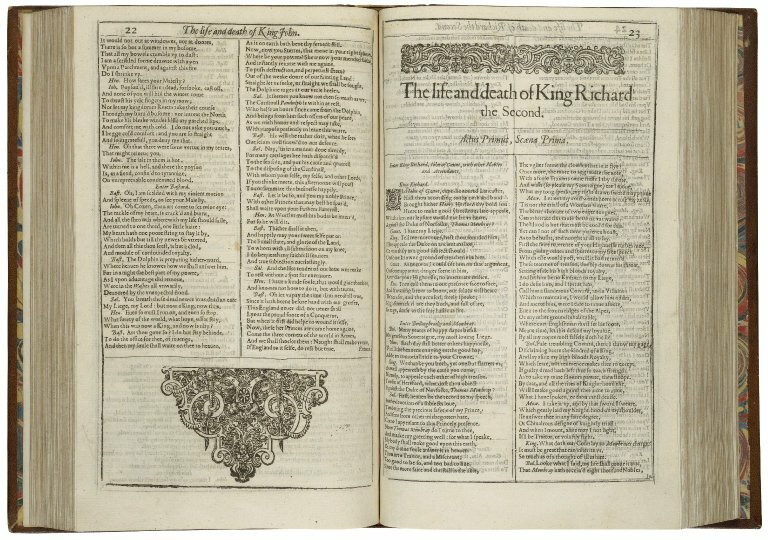 The play was included in the 1623 First Folio (F1) in a text that includes a fuller version of the deposition scene, supplies more detailed stage directions, omits around 51 lines, and divides the play into acts and scenes. 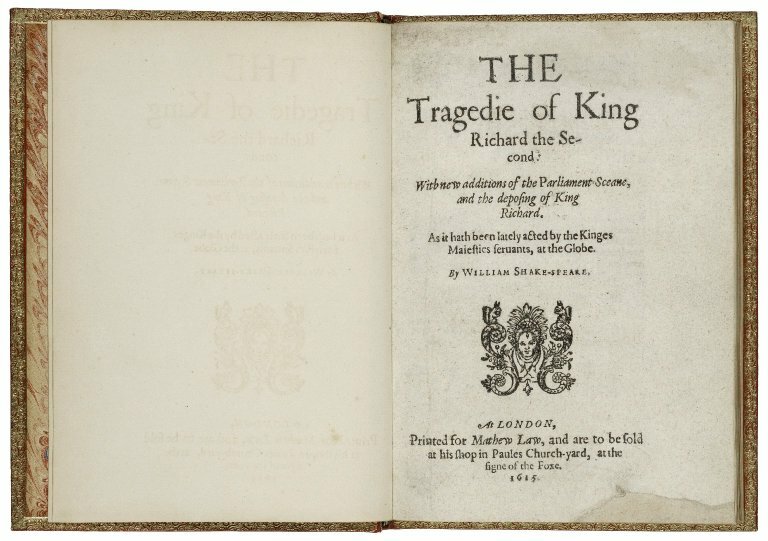 The Folger edition of the play follows Q1, except for the deposition scene, which it supplies from F1. 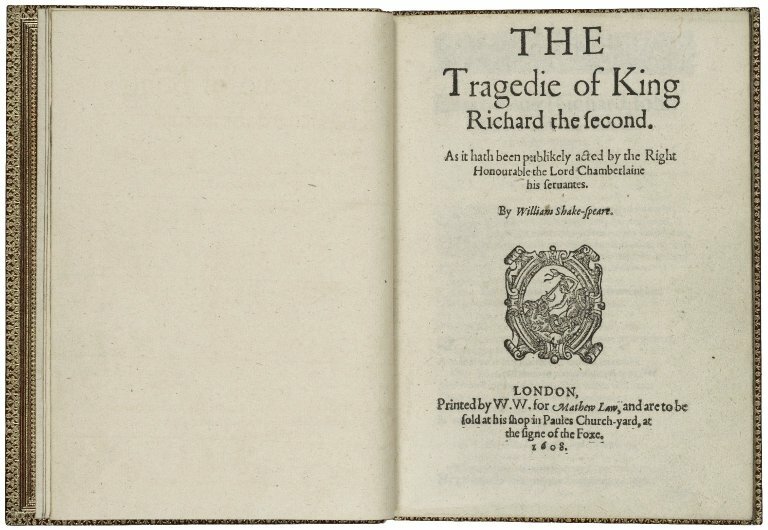 [King Richard II] The tragedie of King Richard the second. 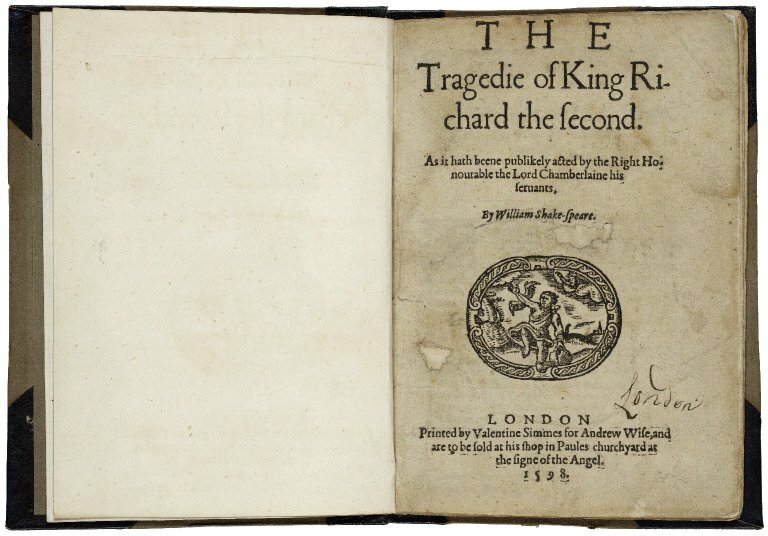 [King Richard II] The tragedie of King Richard the second: with new additions of the Parliament sceane, and the deposing of King Richard. 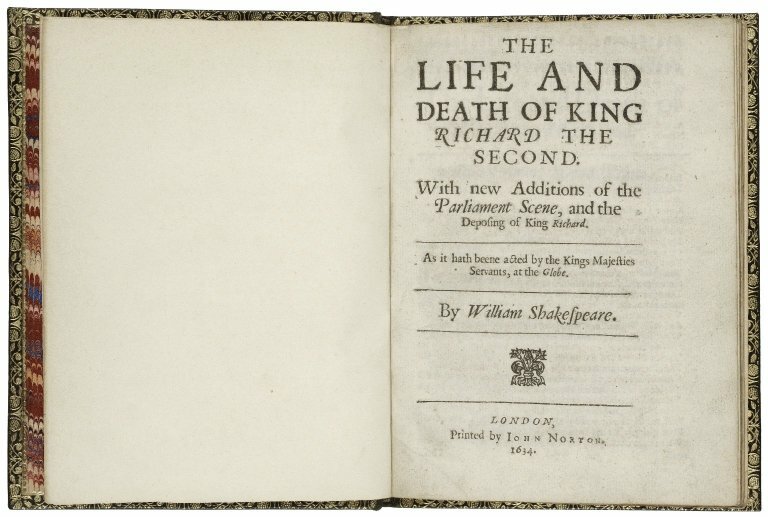 [King Richard II] The life and death of King Richard the second. With new additions of the Parliament scene, and the deposing of King Richard. As part of an NEH-funded project, the Folger digitized thousands of 18th-, 19th-, and early 20th-century images representing Shakespeare’s plays. Some of these images show actors in character, while others show the plays as if they were real-life events—telling the difference isn't always easy. A selection of images related to Richard II is shown below, with links to our digital image collection. 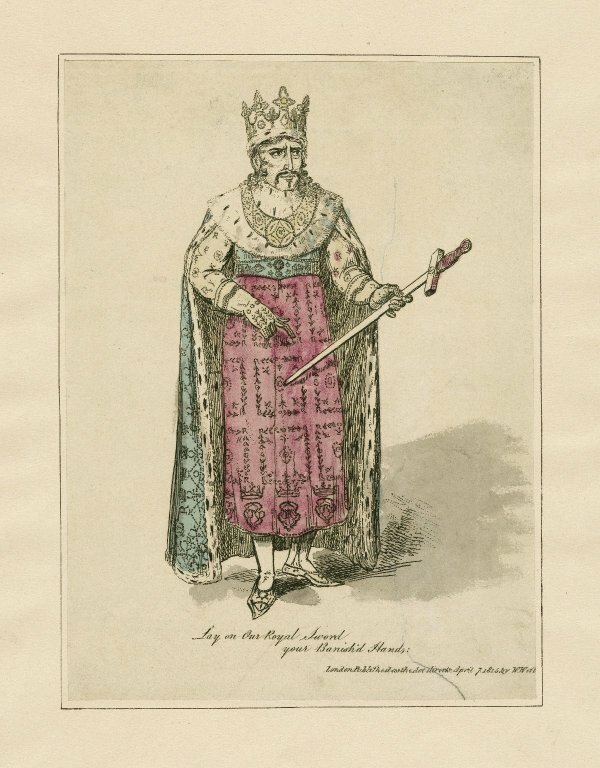 Lay on our royal sword your banish'd hands [Edmund Kean as Richard II] [graphic]. London : Published by W. West, April 7, 1815. 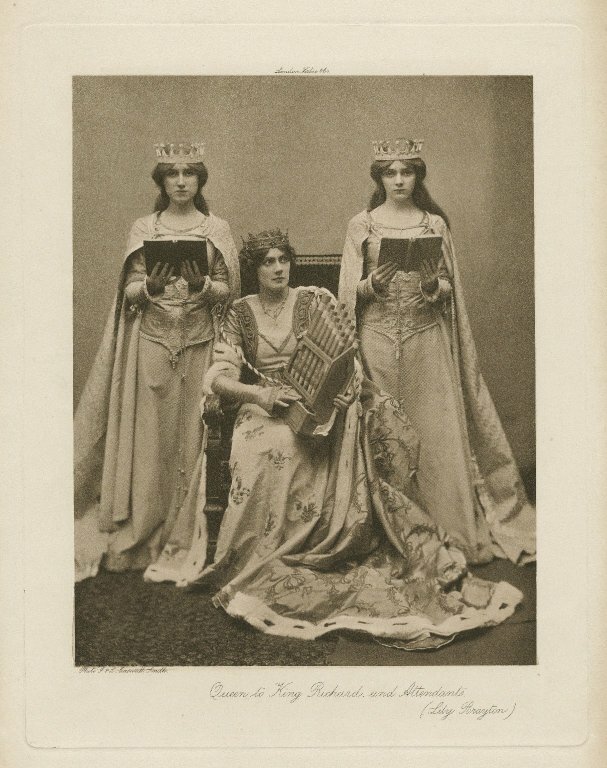 Lily Brayton [as] Queen to King Richard and attendants [in the play by Shakespeare, King Richard II, act III, scene 4] [graphic] / photo, J. & L. Caswall Smith. Bolingbroke. 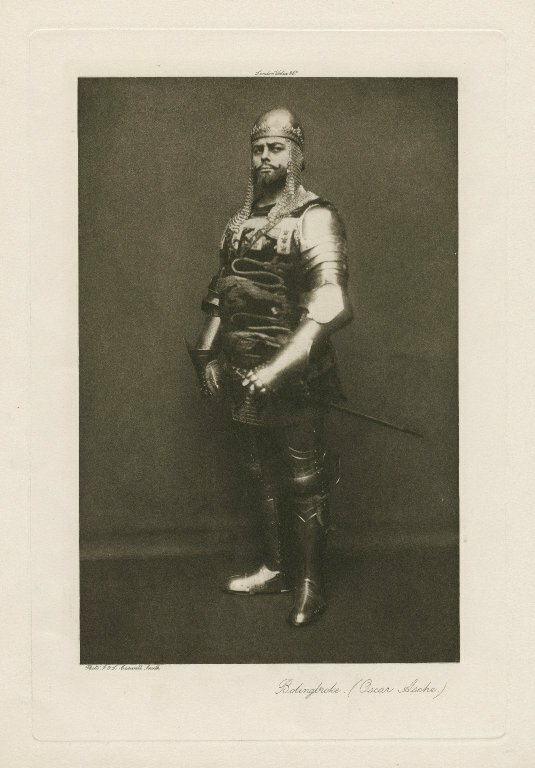 (Oscar Asche) [in Shakespeare's play, King Richard II] [graphic] / photo, J. & L. Caswall Smith. 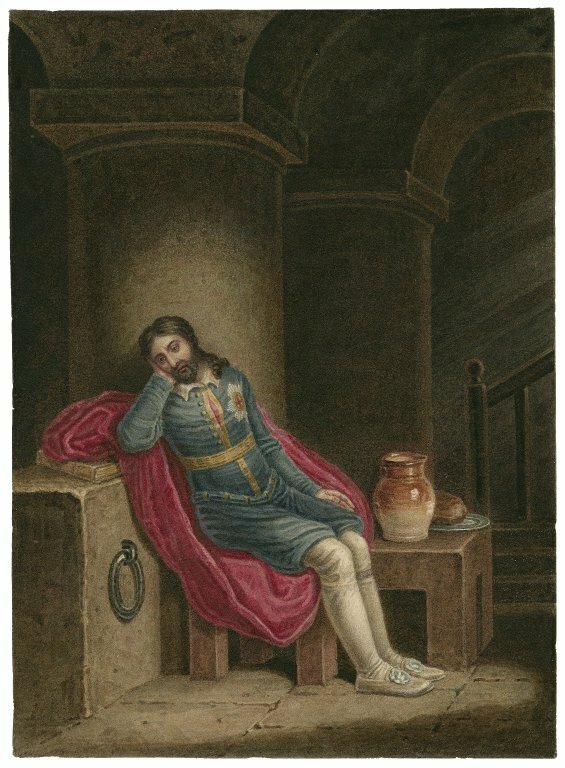 Richard II, Richard in prison at Pomfret Castle [graphic] / [J. Coghlan].